I spend a lot of my life searching for certainty. When should I have kids? When should I leave my job and pursue writing full time? Should I just go for it? As I sat through Jeremy Saulnier’s Green Room, I couldn’t help but reflect on my own tendency to agonize over the right moment to pull the trigger and get on with my life. Green Room opens with a bedraggled punk band performing at a white supremacist bar. Nearing their wits’ end and ready to throw in the towel, they take the gig in order to get enough gas money to drive home. When one of the band members witnesses a murder after their set, the white supremacists lock them in the titular green room and hatch a plot to murder them. The band now must find a way to escape. What follows is a pitched battle between punks and neo-Nazis. This plot could easily have fallen into campy mayhem. 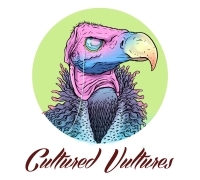 Instead, through smart writing, understated acting, and skilled direction, we’re treated to a punchy romp where wry one-liners fly as hard as the grizzly violence. As a piece of entertainment, it’s Green Room’s elevation of stakes that make it so viscerally effective. Through an extended introduction, the film provides viewers with a substantial opportunity to get acquainted with its protagonists, a quartet of down-on-their-luck punk rockers. By the time they’re in grave peril, you’re fully invested in them. Every setback they face feels like a personal defeat. Every injury they sustain is an emotional blow. And speaking of injuries, there are several, and they are graphic. Green Room is peppered with sporadic bouts of stomach churning violence. While these scenes could have been a turn-off, Saulnier’s exquisite use of graphic imagery serves the story by elevating the stakes further. Instead of desensitizing the viewer to gore, the sporadic moments of extreme violence remind us that we’re dealing with real humans that experience real pain. What takes this film to the next level, though, is the underhanded metaphor that’s tucked into its structure. While many action-thrillers take a ripping yarn to be enough, Green Room presents us with a meditation on the nature of life. In entertainment, a green room is a room at a venue where performers stay when they’re not on stage. It’s no coincidence that the characters spend the majority of their time locked in this room. The band members sit in the green room deliberating about what steps to take next. Are they sure that this is the right moment to break out? Maybe they should wait a bit, or think of a better plan. Maybe not. After every defeat at the hands of brutal neo-Nazis or bloodthirsty dogs, they retreat back into the room to try and comprehend what has just happened. They hatch new plans and repeat the cycle. Over the course of the film, the green room comes to represent the paradoxical space of relative safety and existential anxiety that so many of us inhabit. I can’t help but think that I’ve waited in my own green room, impatiently awaiting the perfect moment to live my life. Time and again, after agonizing rumination, I pull the trigger and break out, only to retreat back into it. I repeat the cycle over and over, each time getting a little wiser and a little more desperate to get out. Sometimes I’m ready to give up. Other times I tell myself that one of these days I’ll break out of my green room and roam free, if only temporarily. Maybe I should just stop giving a damn and dash out into the world, guns blazing. 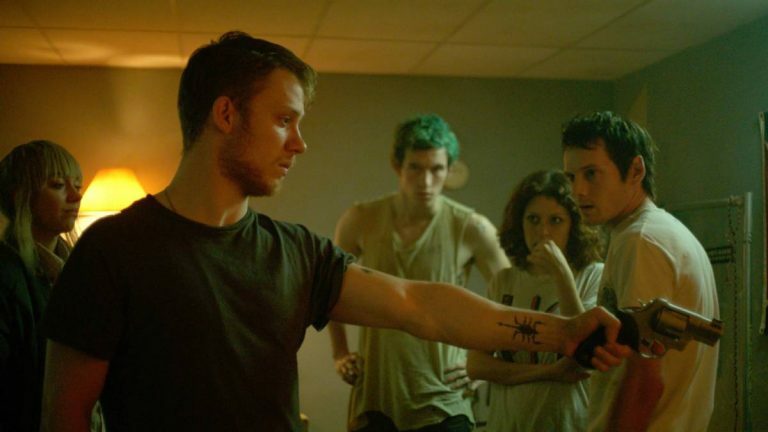 Like the best films, Green Room takes the conventions of a genre and wraps them around truth. I walked into this film expecting some Saturday afternoon thrills. It delivered. What I did not expect was to leave the film reflecting on whether it was the right time to take my writing career more seriously. Alexander Moore is a writer, film enthusiast, and independent data scientist from Chicago, USA. He currently makes his living swimming through streams of endless data.